Very quick post today... 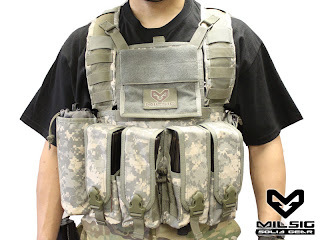 Following Paintball Extravaganza, Milsig has finally released the first product in their Milsig Solid Gear line. 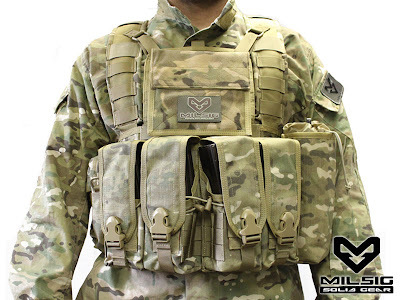 Their new Rhodesian Reconnaissance Vest (RRV) comes in Ranger Green, UCP and Multicam, and has a host of cool features. If you're looking for durability, these are probably a good bet, as the vests are triple stitched with Kevlar thread.